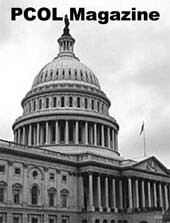 WASHINGTON, D.C., July 31, 2003 – Celebrating the one-year anniversary this month of its program in East Timor, the Peace Corps continues to build on its commitment to the Pacific nation. Recently, on July 4, 2003, U.S. Ambassador to East Timor, Grover Joseph Rees, swore-in 18 new Peace Corps volunteers at a ceremony at the U.S. Embassy in Dili. Last year, the Peace Corps re-located 19 third-year extension volunteers, who were finishing their service in various countries throughout the world, to East Timor. These experienced volunteers helped establish the Peace Corps program in the Pacific nation. The newly sworn-in volunteers will serve a full, two-year commitment in East Timor, working in community health education and local governance promotion, which includes a Habitat for Humanity project. Half of the 18 new volunteers will continue the work started a year ago. East Timor’s Minister of Health, Dr. Rui Maria de Araujo, spoke at the July 4 ceremony and praised the volunteers for their outstanding contributions. Two of the new volunteers also spoke at the ceremony, with one addressing the crowd in East Timor’s indigenous language, Tetum. East Timor gained independence from Indonesia in 2002, when more than 78% of its citizens voted in favor of separating the two nations. Peace Corps is one of the few development agencies in East Timor that has assigned volunteers to rural areas in order to work with the townspeople on beneficial, long-term community projects. Click here for more information on Peace Corps programs in East Timor. 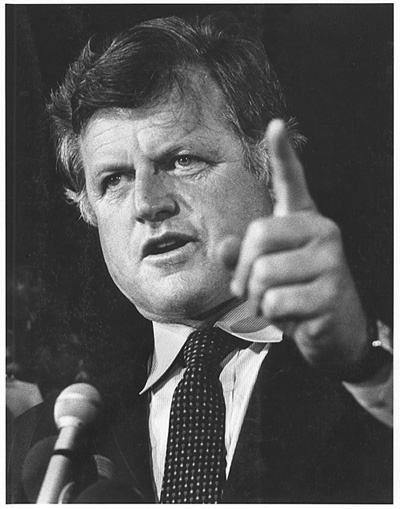 Mr. KENNEDY. Mr. President, this week, East Timor became the first new nation of the 21st century. This breathtaking milestone is the culmination of a long and violent road to independence for the East Timorese people. Portugal ruled East Timor for over 400 years before pulling out in August 1975. East Timor was independent for just four months before it was invaded by Indonesia in December that year. The U.N. General Assembly and Security Council strongly condemned the invasion and never recognized Indonesian sovereignty over East Timor. After two decades of unrest, former Indonesian President B.J. Habibie finally agreed to a referendum in January 1999. In August that year, the people of East Timor voted overwhelmingly in favor of independence from Indonesia, and they did so at great personal risk. Before, during, and after the vote, the Indonesian military and anti-independence militia groups killed more than a thousand people and displaced thousands more, hoping to intimidate the independence movement. Although the militias succeeded in destroying seventy percent of East Timor's infrastructure, they failed to derail East Timor's desire for freedom. Ninety-eight percent of the Timorese population turned out to vote on Election Day. The people of East Timor subsequently elected a Constitutional Assembly and, on April 14, 2002, they elected Xanana Gusmao as their first President. As East Timor at long last takes its rightful place in the international family of nations, it is a time of great hopes. But it is also a time of great challenges. East Timor is rebuilding itself from ashes following 24 years of Indonesian rule, and her people have substantial economic needs. According to the United Nations Development Program, East Timor is the poorest country in Asia and one of the 20 poorest nations in the world. Almost half of East Timor's population lives on less than 55 cents a day and nearly 60 percent are illiterate. The unemployment rate is 80 percent. The most pressing needs are the problems of poverty and economic growth and the building of solid democratic institutions that can deal with the challenges East Timor will face. Our country must show the East Timorese that we will support the efforts of the world's newest democracy. It is a unique opportunity to do it correctly from the start. America's embassy in Dili is up and running, but it is being run by a Charge d'Affairs. To show maximum support and ensure that our commitment to assisting East Timor is strong, an Ambassador to East Timor should be nominated immediately. The Peace Corps Director is already based in Dili, and the first group of volunteers should be in East Timor in June. To ensure that the Peace Corps will succeed in providing appropriate health and education assistance, we must ensure that the Peace Corps in East Timor receive the financial resources it needs. Our Nation can also assist East Timor on the road to economic development by promoting trade in promising industries. The administration should introduce the tools and programs to facilitate trade and investment in East Timor--such as the Generalized System of Preferences--soon. East Timor is also developing its armed forces. Australia and Portugal are leading the effort in providing training for the new military. The U.S. and other regional countries are providing some technical assistance. To help professionalize the army and promote human rights, the United States should provide excess defense materials and international military education and training. Additionally, America should keep our peacekeepers in the international force in East Timor until the UN determines that its mission is complete. The U.S. should also maintain the humanitarian assistance through the U.S. Group in East Timor, USGET, with regularly scheduled ship visits that have played a vital role in rebuilding schools and orphanages and providing basic health care. Finally, the United States must reiterate its interest in ensuring that members of the Indonesian military are held accountable for the 1999 atrocities in East Timor. The East Timorese need to know not only that their concerns have been heard, but also that the United States is committed to upholding high standards of democracy and justice. The people of East Timor have chosen democracy. This is an important opportunity for the United States to ensure that the East Timorese people are part of one of the world's great success stories. We have seen the risks of failed states in places like Afghanistan and Somalia. Failure in East Timor cannot be an option. Caption: Peace Corps Director Gaddi Vasquez and the first group of Peace Corps Volunteers to serve in East Timor meet with Senator Edward Kennedy before the group's departure. Senator Kennedy was instrumental in introducing legislation last year to help facilitate East Timor's transition to independence. 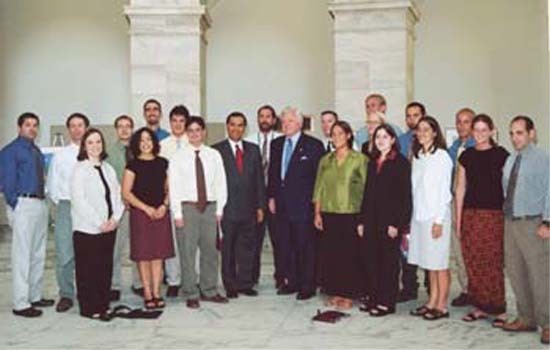 Washington, DC, June 18, 2002-The first group of Peace Corps volunteers to serve in the newly-independent nation of East Timor, formerly part of the island nation of Indonesia, will depart June 19 from Washington D.C. The nineteen volunteers, who have all recently finished a two-year Peace Corps assignment in another country, will spend the next year helping to establish a Peace Corps presence in East Timor and set up foundations for sustainable development projects. "These Peace Corps volunteers in East Timor are pioneers," said Peace Corps Director Gaddi Vasquez. "They will initiate important relationships with ministry officials and community members and pave the way for future Peace Corps volunteers in the world’s newest democracy. This new partnership with the people of East Timor represents the beginning of expansion to new countries for the agency." East Timor is the 136th country in the world to invite the United States government to send American Peace Corps volunteers to live and work in their country. The volunteers will spend the first four weeks in Dili, East Timor’s capital, participating in language, cross cultural, safety and security, medical and job-related training. They will be learning Tetun, one of the two official languages in East Timor and the language most used by the majority of Timorese people.